The daily deals giant is interested in selling as stocks languish. According to a report on Recode, Groupon, the Chicago-based company that pioneered daily deals and coupons, might be looking for an acquisition. The company’s 10 year streak as an independent organization seems to be coming to an end. Executives from Groupon, as well as bankers who represent the company, have contacted several public companies to inspire interest in acquiring Groupon. Recode reports that the company had always been open to acquisition offers, but executives were recently a lot more aggressive in garnering interest. It still isn’t clear if Groupon has already acquired a buyer, or is having trouble finding interested acquirers. They have not officially confirmed its interest in being acquired. When Recode tried to contact Groupon, spokespersons declined to comment. Groupon was launched in 2008 with the idea of promoting daily deals online. The company did very well initially, with both customers and businesses highly interested in the idea. 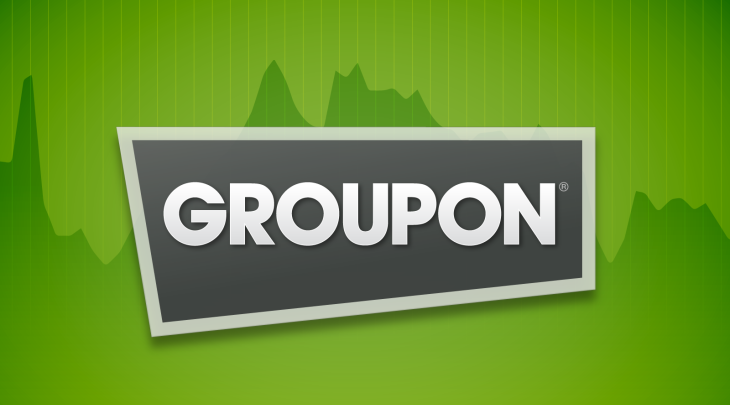 In it’s IPO in 2011, Groupon was valued at more than $16 billion. A year earlier, Groupon had turned down a $6 billion acquisition offer from Google. However, things didn’t go so well for Groupon after that. After a consistent decline in the daily deals market for years, Groupon is now valued at a humble $2.4 billion only. Last year in an effort to improve profit margins, Groupon shifted its focus from discounted physical products to selling digital vouchers. As a result, in 2017 the company saw a revenue fall of 5.6% to $2.84 billion, it’s lowest since 2013. In the same year, Groupon did turn an operating profit for the first time since 2014. Groupon has been run by CEO Rich Williams since November, 2015. Williams left Amazon in 2011 and joined Groupon at a high executive post, and finally took over as CEO in 2015. He has been outspoken about the fact that his company’s goal is to make Groupon a daily habit for customers. Clearly, Groupon has not been able to succeed at its goal, and is now looking for buyers. It is speculated that Alibaba and IAC (InterActiveCorp) are potential buyers of the daily deals startup. Alibaba has in the past shown interest in Groupon, buying 6% stake in the company in 2016. There is also reason to believe that IAC might be interested in buying Groupon because its CEO, Joey Levin, is part of Groupon’s board of directors.